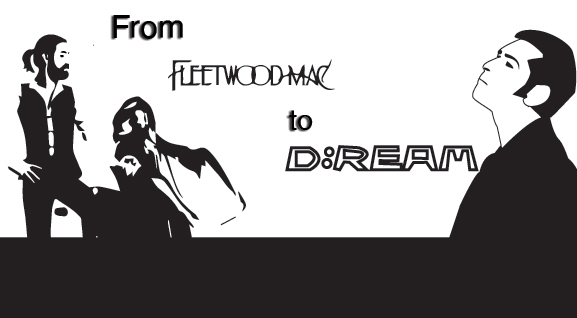 One of the reasons I became a commissioner for the UK Commission for Employment and Skills is that I like Fleetwood Mac. Well, sort of. Their songs resonated with me, and became one of the defining sounds of my generation. One of those is “don’t stop thinking about tomorrow”. It’s a motto I believe many of us – from politicians to parents – would do well to bear in mind. It’s a truism that the young people of today are our tomorrow. And, bluntly, they’re not having a good time right now. More skint and more sober than their forebears, I’ve worked hard to understand the underlying causes of the so-called “jinxed generation” and, where possible, I’ve tried to get involved in innovative ways to help. Paradoxically, things are both much worse and much better than I had believed. Starting with the bad news: it’s not cyclical. Or at least not all of it is. I had assumed that today’s unprecedented level of unemployment was a consequence of the recession and the disappointing recovery. The truth is that youth unemployment started rising well before the crash, as early as the height of the boom in 2004. This suggests that even if the economy grows rapidly over the next few years, the problem won’t solve itself. Before joining the Commission I had believed, like many others, that the problem was young people lacking the necessary skills to enter the job market. However, the UK Commission’s data shows this is not the case. Most employers taking on young people find that they are well prepared for work. That includes 16 year old school leavers as well as graduates. Of those that do not, the most common complaint is that the young people lack experience of the work place. Guess what cures that? A job. This last point highlights a key finding of the UKCES research. Seventy-four per cent of employers say that experience is either a significant or a critical element in their recruitment, which helps to explain why only 27% of firms have taken on a young person in the past year. The result is a viciously circular demand upon young people that they gain work-place experience as a precondition for entering the workplace. Improving job opportunities for young people is a central objective of UKCES. We are working to encourage businesses to adopt a ‘Youth Policy,’ in which they commit to engaging with young people, inspiring them about the world of work and providing them with the necessary experience to enter it. We’re making progress, and the commission is playing an important role mobilising business by disseminating research, publicising best practice and advising central government about the policy levers that need pulling. What needs to be done, whilst far from easy, is relatively straightforward. Before the collapse in the youth market, employers routinely provided experience to young people, including part time jobs and non-graduate recruitment. This suggests that by simply encouraging businesses to relearn what they have forgotten we will go a long way towards giving young people the same opportunities we had. In both my charity and business work I see first-hand the extraordinary benefits young people bring to a business. And I also get to see some fantastically innovative enterprises. I’ve just moved house and hired the Bounceback project to do my decorating. Through it, inmates from Brixton Prison were given day release to come and learn a trade from released ex-offenders. They did an excellent job. My freezer has been filled with delicious meals from Mum’s the Chef, which provides training and employment to ethnic minority women. I’ll give dinner parties which graduates from Switchback will act as waiters in. These innovative projects aren’t isolated examples of social enterprises. There are millions of them all over the country. By getting involved, you become part of a sustainable cycle that “brings it back”. I am exposed to the frustrations and self-doubt that afflict those desperate but unable to get on in life. It is this knowledge that makes me so excited by the conclusions of the UKCES research. We can solve this. Returning to music for a moment – will one of the defining mantras of Generation Y be “things can only get better”?